Bathed in natural beauty and dotted with stunning architecture as well as impressive landscapes. This country has a long history and has always been a place where drawn lovers, dreamers and intellectuals from across the world feels the real spirit of freedom. From spectacular cities, historical villages, fairytale towns to scenic beauties and impressive beaches, France has so much to offer. 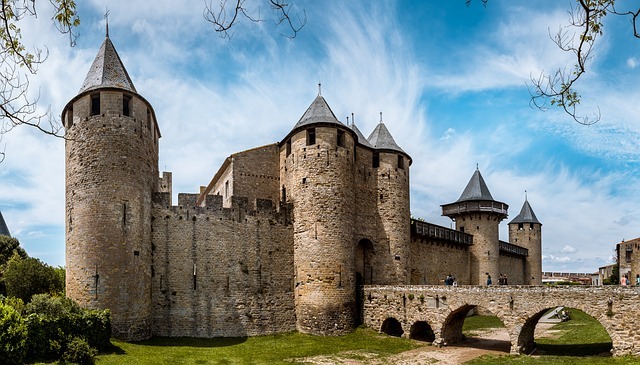 In this post, we would love to pay tribute to the most important monuments in France, some well-known others not so, but still worth a mention. Check out this post and discover the highlights of the largest country in Europe. The wrought-iron lattice tower has always been an object of discord, desire and fascination, the Eiffel Tower nor only dominates Paris but also never fails to impress. 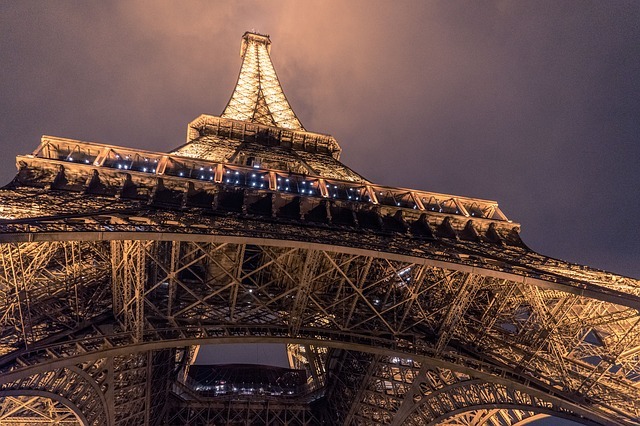 The Eiffel Tower is not only the most representative monument in Paris but also in France. Erected in 1889 for the Universal Exposition, it is undoubtedly the best spot for admiring Paris, thanks to its 300 meters, 324m to tip. 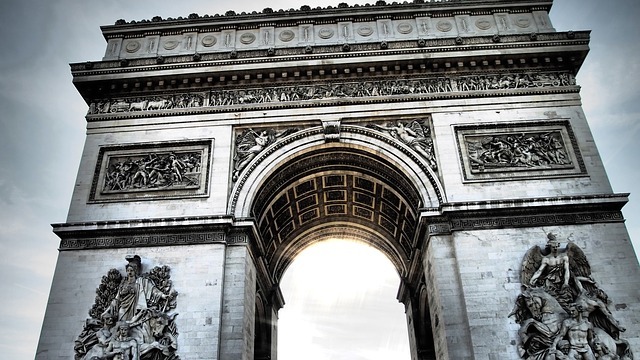 The Arc de Triomphe is another of the most important monuments of France and Paris. 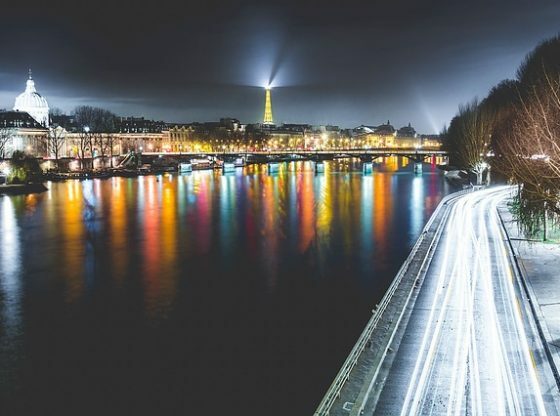 Its construction was ordered by Napoleon in the early 19th century and is located in the Plaza de Charles de Gaulle, where converge to 12 large avenues that run through Paris. Something that many people do not know is that you can enter and climb almost 300 steps to reach the top, from where you also get privileged views. At its feet is also the Tomb of the Unknown Soldier, erected in honour of the hundreds of thousands of French soldiers who died in the trenches during the World War I. The Cité of Carcassone is a World Heritage Site by UNESCO and at the time was considered a completely impregnable fortress, presided over by its castle, with a moat and double line of walls. The region of Normandy, a place of historical events of all kinds, from which stands the famous landing of American troops in World War II. 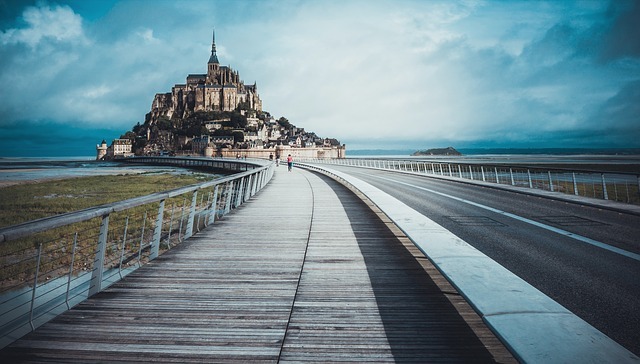 This is where the island of Saint Michel rises, connected by a narrow road with the rest of the continent, crowned by a spectacular abbey. Certainly, Saint-Michel is one of the most impressive images of Europe, and probably one of the most fabulous monuments in France. This small town near Paris is the essence of royalty and a good part of the history of France. 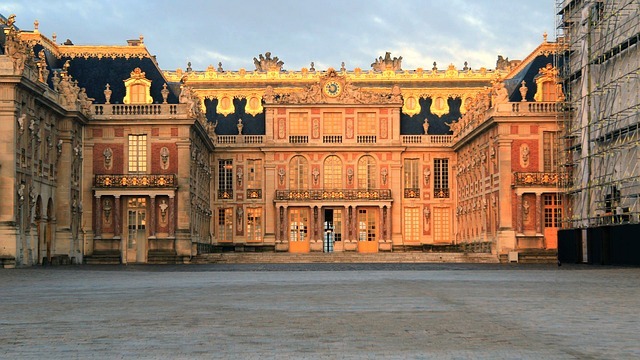 The Palace of Versailles is the image of the greatness of France since time immemorial, especially during the reign of absolutist monarchs such as Louis XIV, XV and XVI. The halls are beautiful, authentic artworks and a sample of the extreme luxury enjoyed by the aristocracy. Its gardens are also amazing, furthermore, don’t miss the chance to explore the Palace of Versailles are the famous Hall of Mirrors and the Royal Chapel. We always tend to think of France and Europe as an ancient place with historical remains. However, what most people don’t know is that France is home to one of the most magnificent artworks of modern engineering: The highest viaduct in the world. 7 pillars support the 2,5 km long Viaduct, impressive uh?…. Inaugurated in 2004, this viaduct offers impressive views of the French countryside. 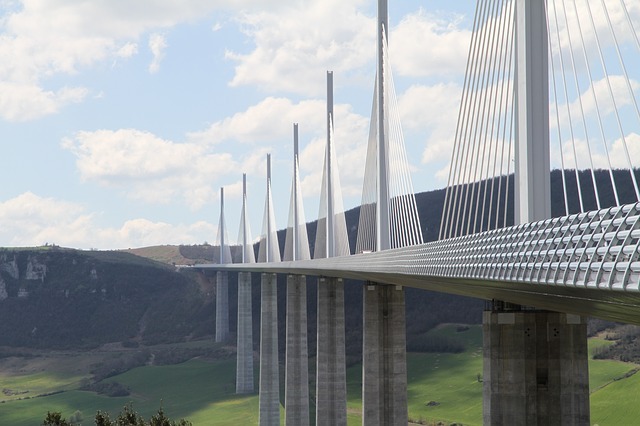 Millau Viaduct is undoubtedly one of the most relevant modern monuments in France. France is the country of the cathedrals, period. 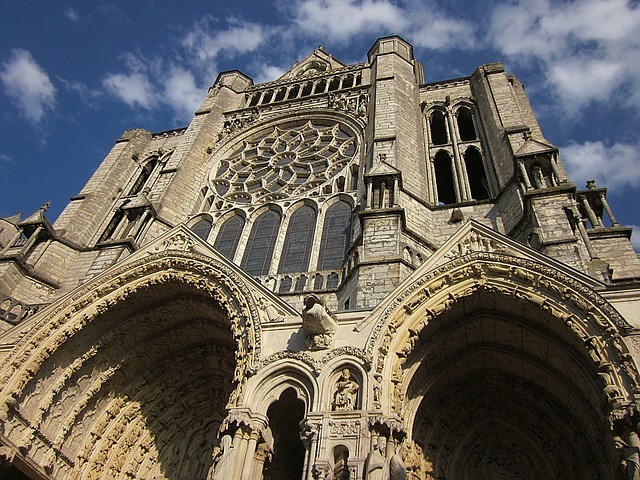 The Notre-Dame de Chartres goes unnoticed on many routes by France, despite being so close from Paris, no more than 100 km. It is one of the world exponents of Gothic art, and both its portico and the stained glass windows are impressive. 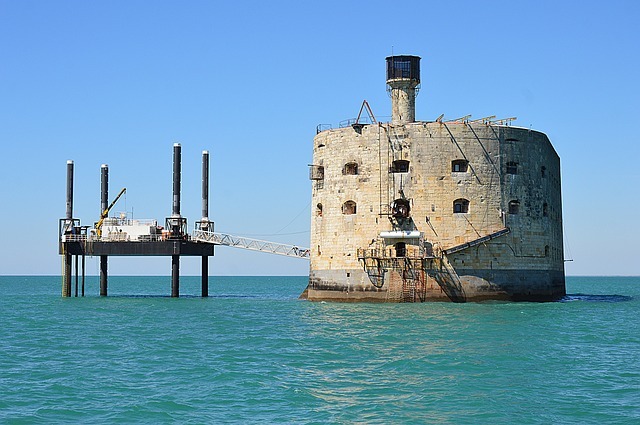 Following our list of important monuments in France, we cannot fail to mention the Fort Boyard. This fort can be found in the southwestern area of France. The construction of Fort Boyard was ordered by the all-powerful Napoleon. 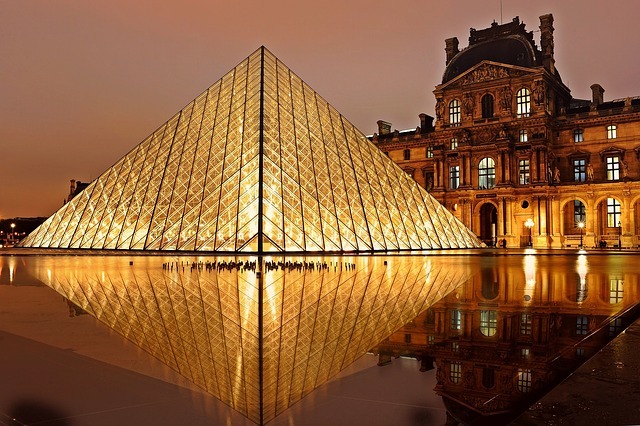 Certainly, one of the most famous monuments in France, the Louvre, the largest museums in the world. The Louvre not only stands out for its innumerable interior rooms and unique art collections but also for its exterior architecture and that emblematic glass pyramid, inaugurated by Mitterrand in 1989. Little presentation needs one of the most famous monuments of France in the world. 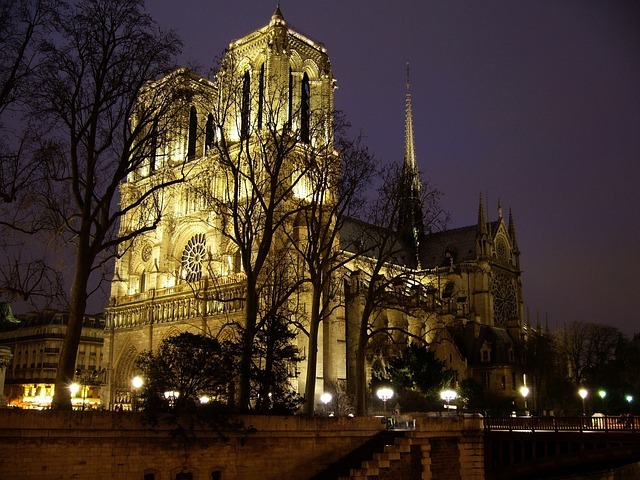 The Notre Dame Cathedral is another magnificent Gothic religious temple whose construction lasted almost two centuries. The Cathedral has been scenery of important and relevant events in France. The Coronation of Henry VI of England took place in the Cathedral. Its famous gargoyles have served as inspiration for numerous artworks. France stands for its medieval architecture, however, it’s true that the Roman Empire had one of its most important bastions in Gaul. 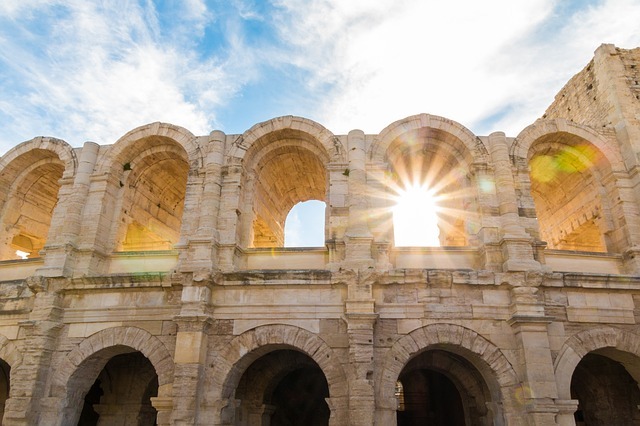 Arles is home to one of the best monumental complexes, where the magnificent Roman amphitheatre stands out. Nowadays, this fabulous arena hosts a large number of shows, even bullfights! Certainly, France is the country of cathedrals, but also a beautiful country full of castles. 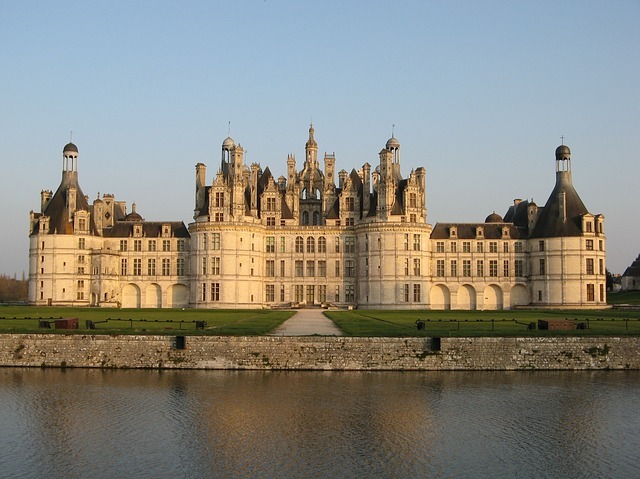 Chambord Castle is perhaps the most famous in France, not only because of its impressive architectural style but also for its history. King Francis I of France commissioned the construction of this architectural wonder. This king stands from the rest for his extravagances, the reason why he ordered the construction of the largest castle in the country. Château de Chambord has 440 rooms and high walls protect the extensive gardens. Certainly, this castle is a must stop attractions if you are visiting the famous castles of Loire Valley. This is our list of the 12 most important monuments in France. What do you think of our selection? 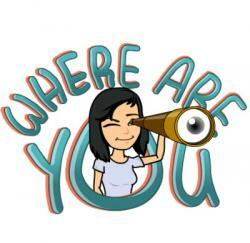 Have you ever been at one of these?